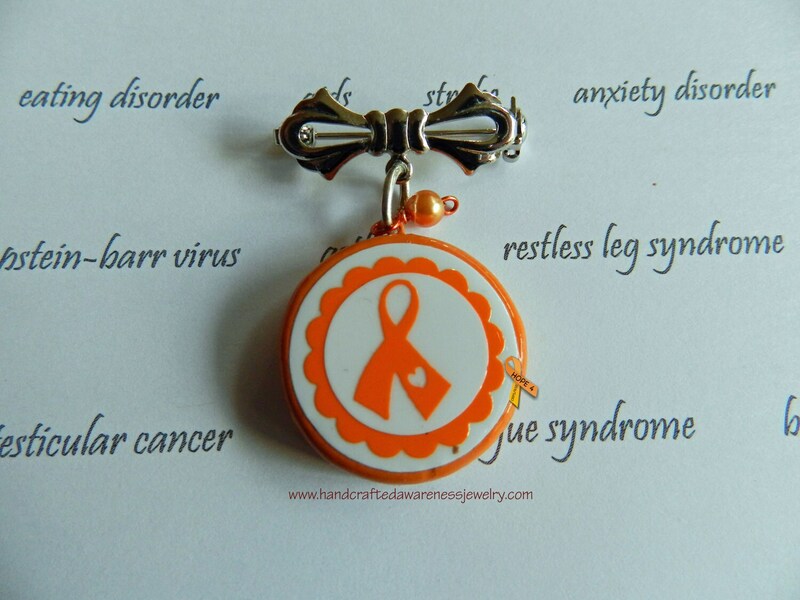 This orange and white ceramic pendant has an orange ribbon to spread awareness. 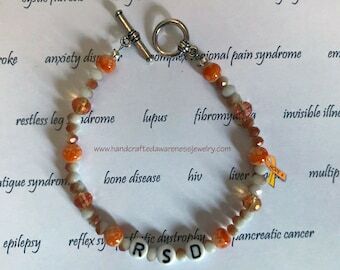 It is attached to a silver plated pin and comes with a small dangle bead. 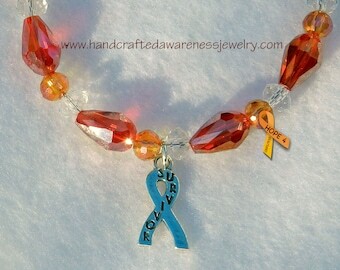 The dangle bead may be different than pictured since these are made as ordered. 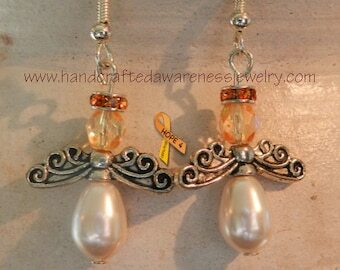 Dangles approximately 1.25" in total length.